Steven Seagal is a Martial Artist who needs no introduction. He found international acclaim for his high-octane Action Movies, but his first and foremost love is the world of Martial Arts. With an encyclopedic knowledge of the Japanese warrior arts, a wealth of experience with the Katana, a 7th Dan Black Belt in the art of Aikido and a lifetime of training, he is still a much-in-demand instructor and consultant. Whether working specialist techniques with Mixed Martial Artists or traveling the world teaching seminars, there is no doubt that Steven is still a force to be reckoned with! 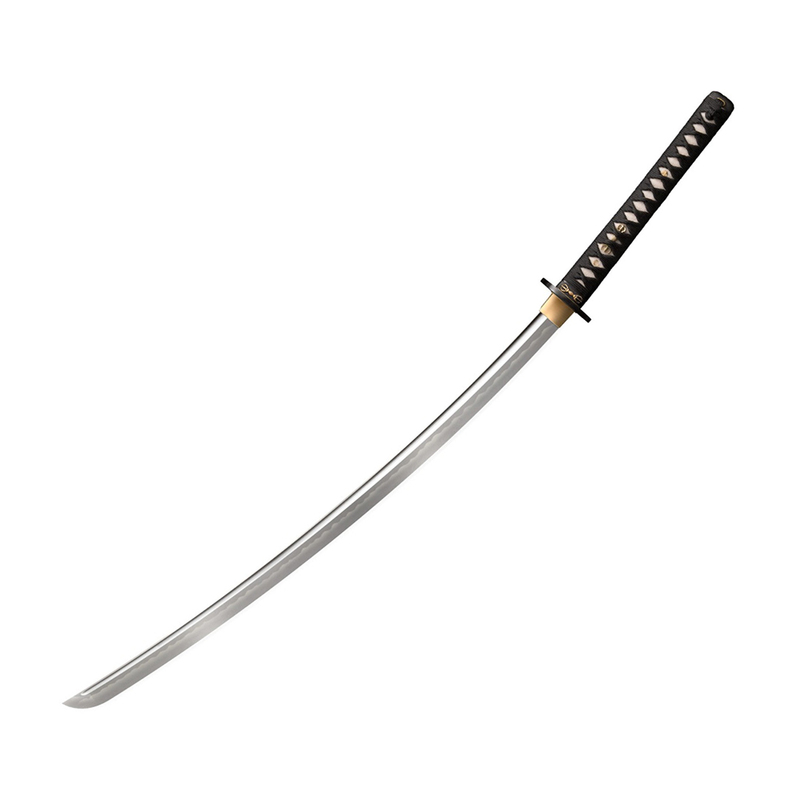 This Japanese sword is inspired by an antique original from the collection of Mr. Steven Seagal. The extra wide, deeply curved Tachi-style, distal tapered and convex ground blade is made from Damascus steel and differentially hardened with a clay tempered Hamon and a distinctive peaked Iori Mune spine. The Tsuba, Fuchi and Minuki all feature a Vajra – symbolizing both the strength of a diamond and the force of a thunderbolt, while also representing enlightenment. The handle is bound in pure white samé (ray-skin) and wrapped with black silk, while the simple black lacquered Saya securely protects the exquisite blade inside! 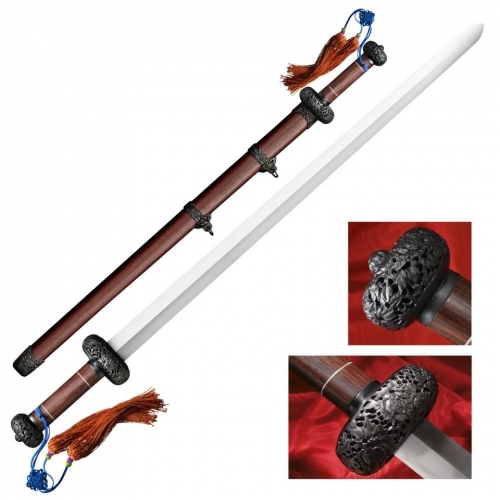 This astounding and unusual sword represents the highest levels of production blade manufacture, rivaling many custom swords in quality, materials and performance. PART # 88PK WEIGHT 48.4 oz. THICKNESS 8mm HEAD No HAMMER FACE No PRIMARY EDGE No HAWK LENGTH No HEIGHT No BLADE LENGTH 3 HANDLE 1 STEEL/MATERIAL Damascus OVERALL 46″ ADDITIONAL FEATURE Samé (Ray Skin) Handle with Black Braid Cord, Brass Menuki. 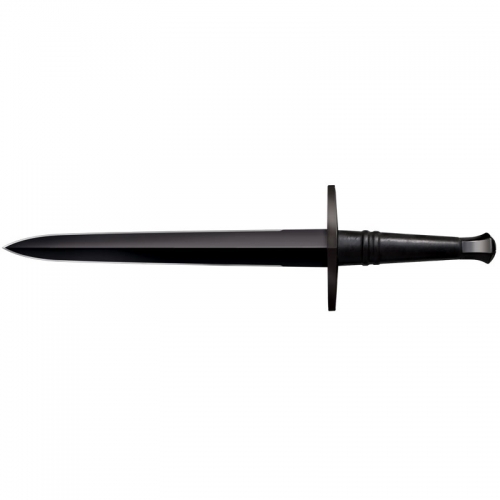 Black Lacquered Wood Scabbard.